Smartphones entered the world market as a pathbreaker. Loaded with numerous useful apps, they gradually became a utility, from luxury. While you will come across numerous smartphone brands, there is one brand that has outshined the smartphone market since its initiation. Launched in the year, Apple phones, known as iPhone, have established themselves as the most coveted smartphones in the world. iPhones are the cleverest devices in the world. Questioning the efficiency of an iPhone is not justified. These super smart devices are run on iOS mobile operating system. Be it the first iPhone or the latest one, these great gadgets have made people fall in love with the tech world. Even though, iPhones are considered to be the best gadgets, one thinks twice before purchasing one. The only reason behind this is the high price of iPhones. 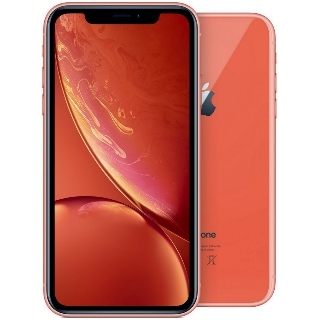 The trolls on social media about the price of iPhone being as expensive as a human kidney, does not seem untrue, when it comes to buying an iPhone. The iPhone prices in India are too high, due to which a number of us prefer calling our relatives living in the U.S.A, to get us one at low price. We know that the price of an iPhone can cost you a fortune. So, instead of fussing over it, it's better to purchase one in a smarter way. At GoPaisa we have collected all the best iPhone deals and listed it under one roof. Buying an iPhone via GoPaisa is not just simple but affordable too. Here you can go through a long list of all the all the websites that offer you iPhones at the best price. In the list, you will come across reputed websites like Amazon, Flipkart, Snapdeal, etc. All the iPhone deals at these websites is listed at GoPaisa. These great iPhone deals allow you to get your most desired Apple smartphones at low prices. The best part about buying an iPhone via GoPaisa is that along with low price, you even get cashback on your purchase. Double joy! Isn't it? These cashbacks are assured and can be redeemed in various ways. You can buy all the variations and models of iPhone at EMI or can also get them on exchange offer. Its time you upgrade your old phone with the latest iPhone and get the best of the superfast world. Till date Apple has launched ten generations of iPhone models. Each of these generations is accompanied by one of the ten main announcements of the iOS operating system. The 1st-generation iPhone was a GSM phone. This phone set design examples, such as a button placement; which has been a part of all releases of iPhone; and screen size. The original iPhone screen size continued to be the same in the next four generations. The iPhone 3G supported 3G network. This was succeeded by 3GS with improved hardware. The nest in line was iPhone4 which featured metal chassis with higher display resolution and front-facing camera. The next in this series was iPhone 4S which had improved hardware. The introduction of the voice assistant, Siri, was a breakthrough. The iPhone 5 offered a taller, 4-inch display with the modern addition of Lightning connector. This was the last iPhone designed by Steve Jobs. In 2013, Apple came up with iPhone 5S with greater hardware and a fingerprint scanner. The next in line was a budget iPhone 5C which was similar as iPhone 5. The only difference between the two was 5C had coloured plastic casings instead of metal. After this in line was an even better version of iPhone, iPhone6. This model of Apple smartphone featured a 4.7 and 5.5-inch displays. The following year witnessed the launch of iPhone 6S with features like hardware upgrades and support for pressure-sensitive touch inputs. iPhone SE too was launched in the same year. This smartphone featured hardware from the 6S but the smaller form factor of the 5S. In 2016, Apple launched the most hyped iPhone 7 and 7 Plus. This generation of iPhone is water resistant, has improved system and graphics performance, features a new rear dual-camera setup on the Plus model. They removed the 3.5 mm headphone jack found on previous phones. AirPods too were introduced with iPhone 7. The best way and plave to purchase an iPhone is at GoPaisa. This cashback and coupon websites not just offres you a great price but also make shopping convenient. Here is all you have to do to buy an iPhone at GoPaisa. Log in to GoPaisa and search for iPhone. Here you will find a number of iPhone deals. So, click on the deal that you find best. Once you go to Activate Deal, you will be guided to the retailer's page. Now you can continue shopping for iPhone in the regular way. This cashback can be redeemed in numerous ways like mobile recharge, DTH recharge and bank transfer.